Parallels Plesk is opening up new possibilities for their clients by offering users more features and customization options than ever before. Now, when selecting the webmail service you wish to use in your Plesk control panel, you will able to select the Open-Xchange option so that you can more effectively manage your system. This will give Plesk mail users the first ever full business class option for their webmail interface. Open-Xchange will truly transform Plesk’s standard of excellence to the next level with its assortment of great tools and services. 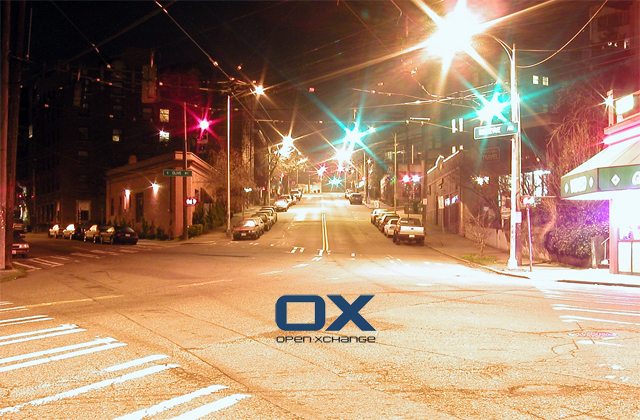 For example, one of the cooler Open-Xchange tools is the unique “Social OX” feature that gives users the ability to consolidate any kind of existing email accounts. 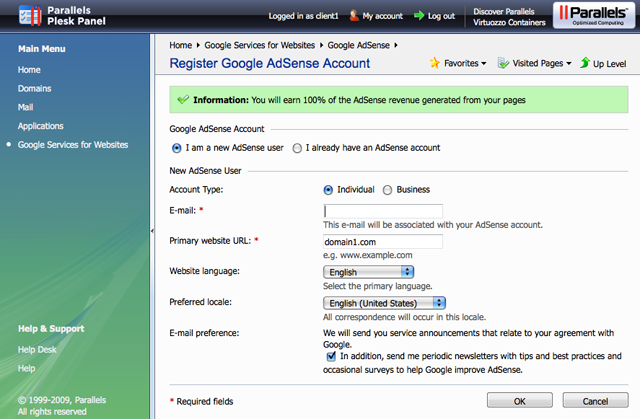 Google and Yahoo webmail accounts can all be placed into a folder in Open-Xchange so that they can be managed easier. Open-Xchange is one of the many new innovations found on the Parallels Plesk control panel that will offer you a more comprehensive solution to managing and automating your hosting business or any other web development endeavor that requires a control panel. You can use Open-Xchange to optimize your webmail accounts and seamlessly manage each component so that you no longer have to worry that your accounts are contained in different locations. Each webmail account will be controlled from one centralized location offering you more options when it comes to providing comprehensive services to your clients. This is just one of the many ways that Parallels Plesk leads the industry in providing the most in-depth and workable solutions for any hosting business. If you are on the fence about whether to try licensing Plesk, the Open-Xchange feature will make your life much simpler and allow you more customized control over your platform so that you can effectively manage and run your hosting business directly from the Plesk control panel. Some recently announced changes have been made to the latest version of Plesk. All of these exciting features have made Plesk an even better choice as a control panel. The new APS 1.2 support system is revolutionizing the industry by allowing customers to install third party applications with the Application Packaging Standard (APS). In addition to the APS feature, file sharing is now permitted in the Parallels Plesk control panel. In the past, the SBP (small business panel) handled file sharing, but now it has been replaced and added to the new panel so that everyone can now use the improved file sharing capabilities. The other features on the new Plesk control panel include increased support for the CentOS alternative repositories. This measure was put in place to ensure that Plesk’s interface can be easily updated to become compatible with alternative repositories. Small businesses will now be able to utilize the full Parallels Plesk Panel rather than the small business panel that has been used in the past. The migration process is very simple, and the backup and restoration tools provide for a seamless and easy transition to the new control panel. To make the transition to the Plesk control panel even easier for customers, there are now several video tutorials that can be viewed to answer common questions and give step-by-step guidance on how to begin using the new Plesk panel. Many upgrades have also been made to the third party components like the MySQL database, the ProFTPd, and the phpMyAdmin modules. This allows users to keep all aspects of the Plesk control panel fully up-to-date. In order to make the upgrade experience even better, the Parallels installer will now perform a self-upgrade to ensure that the very latest plesk updates are being installed to the current version of the panel. Control panel users have a number of different options available, and with so many software programs on the market, it can be challenging to choose the one that will benefit your hosting, web design, or web development business the most. The Parallels Plesk control panel is one of the most popular software programs on the market because it is versatile, scalable, and dynamic. There are a few distinct reasons that Plesk is more popular than its competitors, and with a Plesk license, you will be able to fully benefit from their upgrades and industry advancements. Easy to Use: The Plesk control panel is very simple to understand, and even novice users can begin using the control panel program right out of the box. The interface is very intuitive so end users and administrators will be able to easily navigate the software. 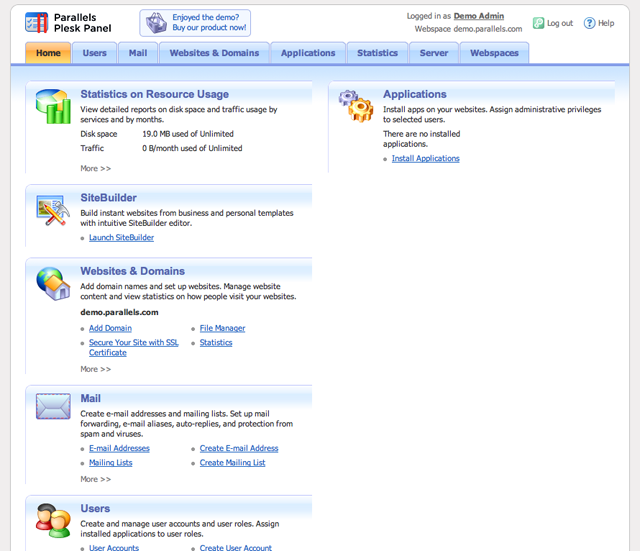 The rich array of features and the easily customizable options also make Parallels Plesk the best choice on the market. Profitable: The Partner Storefront is a new invention for Plesk, and this feature allows hosting providers to increase their profits by joining forces with Plesk to add a small business panel to their website. The storefront allows you to monetize customers by offering web-based applications that are already configured and do not require additional development. You can simply select your favorite applications, notify Plesk of your selections, send them a logo design, and watch a short webinar to get acquainted with the process. After that, Plesk does all the work! Complete: A Parallels Plesk license will not only allow you to use the premium control panel, but you will also have access to an amazing SiteBuilder and a dynamic billing system. Plesk Billing and Plesk SiteBuilder are two of the features of the premium Plesk license, and with these elements, you will be able to skyrocket your business’s success! 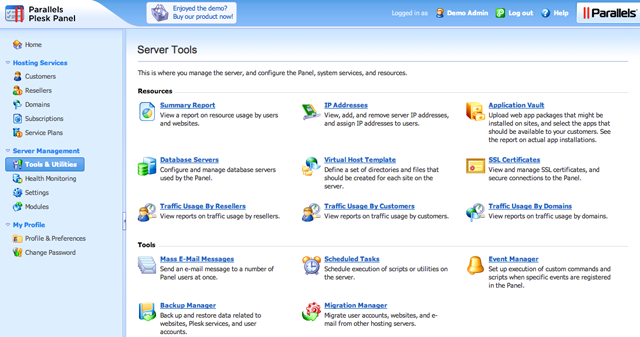 Plesk is an excellent choice for a control panel, and it is the leading competitor of cPanel. There are many reasons that someone might want to choose Plesk over cPanel although both programs offer you a feature-rich intuitive design that is very easy to navigate for anyone that uses your services. If you are looking for the characteristics that set Plesk apart from cPanel, then you will probably want to consider a few facts. Licensing Plesk is less expensive than cPanel, and it is well worth the money. You can test out Plesk with a free demo before you commit to licensing the product. You can also license by month instead of buying an eternal license flat out. Plesk is a very stable program with a simple design and easily understood terms. Licensing Plesk will give you the option to get straight to the point and conserve the most amount of resources on your system. Many people find Plesk easier to use and navigate, and Plesk is equipped with a number of great add-ons and plug-ins for your control panel. You can explore the many exciting, innovative options for upgrading your control panel, although Plesk is equipped with so many standard, out-of-the box features that you may not have to upgrade anything. Plesk is great for people that want less clutter on their control panel interface because it has a clean, organized design. You can get your Plesk control panel up and running in a very short time so that you can set up your database, mailboxes, and web users. After you have added all of this information, you are finished, but you may choose to add some optional customizations to make sure that the system is completely integrated to fit your needs. For one of the most brilliant, all-inclusive software programs on the market for your control panel, Plesk will fit every need and surpass your experience with cPanel. Plesk can give your virtual environment the edge it needs to excel in the marketplace and offer the most all-inclusive services to customers. If you need a control panel that gives you the most features, applications, scripts, and options, then Plesk is the best choice! It is a revolutionary control panel. If you want to really step up the products and services that you offer your clients, you can purchase an Unlimited Plesk License, and this will not only give you access to the control panel, but also the Plesk SiteBuilder and Plesk Billing system. It doesn’t get much better than being able to fully integrate your control panel with everything that you need to fully automate your hosting or web development business. In addition, Plesk offers multiple administrative tools for you to take advantage of. You can try the complete module configuration manager and full DNS control as well as complete PHP and MySQL integration. Parallels Plesk is an exciting software program with a myriad of systematic upgrades that has made it not only amazing for functionality and usability, but also for security and server health. Plesk’s security is one of the best on the market, and you can provide your clients with the most comprehensive support system on the market by licensing a Plesk control panel. One way that Plesk uniquely secures your system is with an automated health monitoring system that operates exclusively off of your Plesk control panel. It will systematically check your server and domains for any sign of threats or malicious users attempting to infiltrate your system. Once it detects a conflict, the Plesk control panel will automatically correct itself so that you do not have to have direct oversight over system maintenance. With a Plesk control panel, you will have all of the resources that you need to actively manage your account and let the excellent automation tools do the rest of the work for you.